There is a theory doing the rounds that the best thing for South Africa would be for Cyril Ramaphosa to get a “bigger mandate” in the 2019 elections. Even seasoned political analysts like Carol Paton, Max du Preez and Peter Bruce have succumbed to the illusory allure of this thinking. I want to interrogate this theory, because it is completely illogical. Unless it is thoroughly debunked, well-meaning people may end up unintentionally contributing to South Africa’s further demise. The reasoning behind the theory is that Ramaphosa only won the ANC presidency by a handful of votes at the ANC’s elective congress at Nasrec in Dec 2017. With such a slim margin, he doesn’t have a strong enough mandate to push through the reforms South Africa needs to get our economy growing. 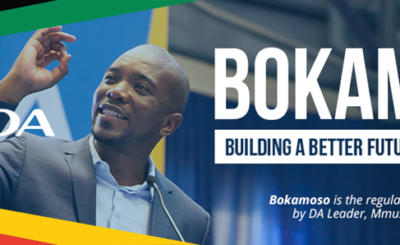 With a bigger mandate he can stand up to the “bad ANC” and fix South Africa. The first problem with this theory is that it is based on the fallacy that voters are able to give Ramaphosa a mandate. They aren’t. South Africa’s electoral system is one of proportional representation. Voters do not get to vote for individuals, only for parties. Not a single South African will get to vote for Ramaphosa alone. They won’t even get to choose between the “good ANC” and the “bad ANC”. On the ballot paper, there is only one ANC. The same ANC that has grown the number of unemployed from 3.7 million to 9.8 million people, lost South Africa R500 billion to state capture, put our economy into recession, and produced an illiteracy rate of 80% amongst 10 year-olds. So a vote for Cyril is really a vote for the ANC which is a vote for failure and corruption. Healthy democracy requires that poor performance is punished at the ballot box. The alternative is impunity and a one party state. When poor performance is rewarded with continued electoral support, the electorate must expect further poor performance. They must also expect continued looting of the state and further conspicuous abuse of power. These are the consequences of the culture of entitlement and impunity that extended incumbency fosters. If not from voters, where does Cyril get his mandate? It comes from the ANC’s National Executive Committee, which has the power to remove a sitting president on any given day of his presidency. The NEC is packed with the same people who kept Zuma in the presidency for nine disastrous years, only removing him when it came time to save the ANC from committing electoral suicide. Therefore, Ramaphosa will probably never be as powerful as he is now, before the 2019 election. Because right now, he is the only thing the ANC has going for it, and they know it. Without him, they would be electoral toast in 2019. After 2019, once Ramaphosa has secured another five year term for the ANC, his job will have been done, as far as they are concerned. He will have guaranteed them a further five years of looting. Then, if Ramaphosa steps out of line and tries to hold too many people to account, or tries to bring in too many pesky reforms that threaten the feeding trough, he best beware. After 2019, the person most keen to see Ramaphosa removed will be Deputy President David “DD” Mabuza. Ramaphosa was elected at Nasrec as ANC president because Mabuza, Premier of Mpumalanga at the time, threw his considerable support in with Ramaphosa, in return for the Deputy Presidency. He is a ruthless politician who has stopped at nothing to climb the political ladder, as laid out clearly in this New York Times article. He rightly calculated that his quickest path to the presidency would be achieved by supporting Ramaphosa at Nasrec. Both Thabo Mbeki and Jacob Zuma were pushed out before the end of their presidential terms and replaced with their deputies. Based on this historical record, there is a reasonable chance that Ramaphosa will suffer the same fate, and be replaced by Mabuza. A Mabuza Presidency would make Zuma’s look mild, and it would open the way for Malema to return to the ANC with the few remaining constitutionalists in that party truly vanquished. The second problem with the “bigger mandate” theory is that it assumes Ramaphosa is committed to the reforms South Africa needs to get our economy growing at the pace necessary to create jobs on a massive scale. This assumption is based on blind hope rather than fact. Very little in his past record suggests this is the case. But this is a discussion for another article. The “bigger mandate” theory simply does not stand up to scrutiny. The sooner we get beyond “big man” politics and start building strong independent institutions that check and balance power, the sooner we will be protected from the likes of Zuma, Mabuza and Malema. These are the institutions envisaged by the Constitution: an independent legislature, judiciary, reserve bank, public protector, and national prosecuting authority. And most importantly, a strong opposition party that will stand up to power, not cozy up to it. The DA is committed to building these institutions. This is why we support DA MP Glynnis Breytenbach in her decision to stand down as a nominee for National Director of Public Prosecutions, even though we believe she would perform her duties brilliantly, independently and without fear or favour. The culture of “big man” politics is so pervasive in South Africa that political interference in our institutions is seen as the norm. So, we believe it is not enough for the NDPP to be independent. She must also be seen to beindependent. In 2019, a vote for Ramaphosa will be a vote for the ANC and for DD Mabuza. A vote for the DA will be a vote for the Constitutional values of strong, independent institutions and honest, capable government for all.